President Donald Trump warned the Syrian regime on Wednesday that "the world is watching" as government forces prepare to assault the last rebel stronghold of Idlib. The President also denied ever ordering or considering ordering the assassination of Syrian dictator Bashar al-Assad when he was pressed Wednesday about the allegation, which is included in a new book by veteran journalist Bob Woodward. "Not at all. The book is fiction," Trump said. "I heard somewhere where they said the assassination of President Assad by the United States. Never even discussed." "It was never even contemplated, nor would it ever be contemplated," Trump added. Trump and his top officials have called attention to the impending Syrian government offensive in recent days, warning the Syrian regime and its backers Russia and Iran not to use chemical weapons or recklessly cause civilian deaths. 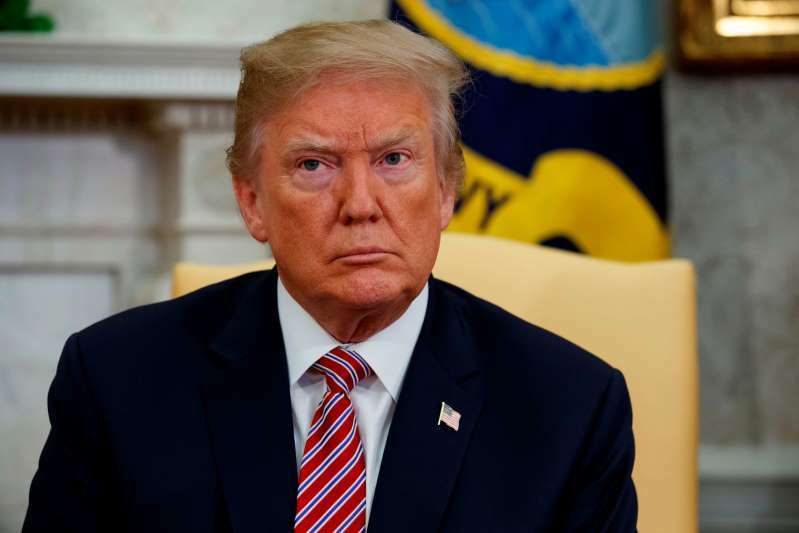 Trump on Wednesday said Idlib province is currently "surrounded by a lot of people with a lot of weapons" and expressed concern about the 3 million civilians he said currently live in Idlib. "You have at least 3 million innocent people there," Trump said. "The world is watching and the United States is watching very closely." Trump's comments evoked past US warnings about Syrian military activities and the regime's use of chemical weapons, which has previously triggered US military strikes against Syrian targets. Trump called the situation in Idlib "very sad." Woodward reported in his new book that Trump called Defense Secretary Jim Mattis after Syrian chemical weapons attacks in April 2017 and said: "Let's f***ing kill him! Let's go in. Let's kill the f***ing lot of them." In a statement on Tuesday, Mattis denied ever making contemptuous remarks about Trump that were also attributed to him in the book, though he did not address the Assad claim. The United States has grown increasingly wary of the possibility of a major assault by the Syrian government, backed by Russia and Iran, against Idlib. In a statement on Wednesday, the White House warned "millions of innocent civilians are under threat of an imminent Assad regime attack, backed by Russia and Iran." "President Donald J. Trump has warned that such an attack would be a reckless escalation of an already tragic conflict and would risk the lives of hundreds of thousands of people. Let us be clear, it remains our firm stance that if President Bashar al-Assad chooses to again use chemical weapons, the United States and its Allies will respond swiftly and appropriately," the White House statement said.